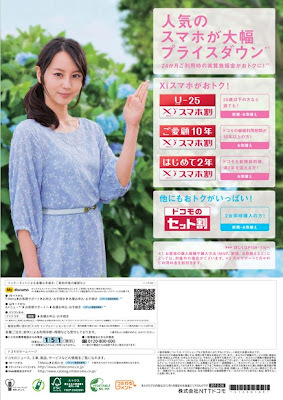 She's on the cover for this month's docomo catalogue. Surrounded by hydrangeas on location. This is just a side shot, do check out the magazine!